Wondering how this online group proxy repatterning program can possibly work for you? I know it sounds too easy, to join a group you’ll never see (not likely), for a personal growth type of ‘session’ that you don’t actually show up for in person or by phone, and experience a change for the topic at hand, either tangible ones like that job offer showing up or intangible like a new wave of inner confidence settling in. In these programs we are utilizing the science/spirituality genre of personal development information in a practical way, improving our ability to find patterns and to see life symbolically for a healthier energy field and spiraling consciousness. Delightful, unexpected surprises may occur along the way. 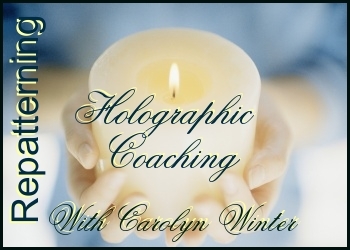 If you are new to Resonance Repatterning especially this online version, you may find these 7 steps helpful in realizing results from next week’s Fall Equinox Repatterning or any of these holograms for success. 7 Steps for Using Online Repatterning Sessions Effectively. 1. 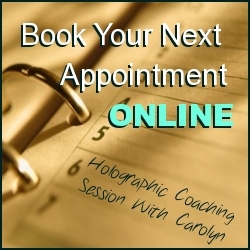 Customize the sessions to your situation – submit issues and intentions via the links. 2. Read the session notes afterwards and reflect on the patterns that shifted. How may these apply to your situation? 3. Reflect on your experience of the session 3-7 days afterwards. Post your observations in your online journal. 4. Review your Journal submissions – issues/intentions / reflections. – what needs repatterning next? Make a note on what needs to be fine tuned and submit it for the next repatterning session. 5. Share your stories at the blog. Anonymously told is fine. I realize that life online does have boundaries. Telling your story may not only help you but others as well. 6. Be sure to do the recommended action or any positive actions resulting from the sessions. They do make a difference. 7. Keep the faith. Having faith helps us to kick in our natural self-healing response. ← Is your connection energy supporting your goal?